> > > > > A few years can change quite few things, like process node or available structures for OOO core. > > > > out of order) I think Intel wasn't willing to talk about design decisions and just give a random excuse. > > > only 25 mm^2. 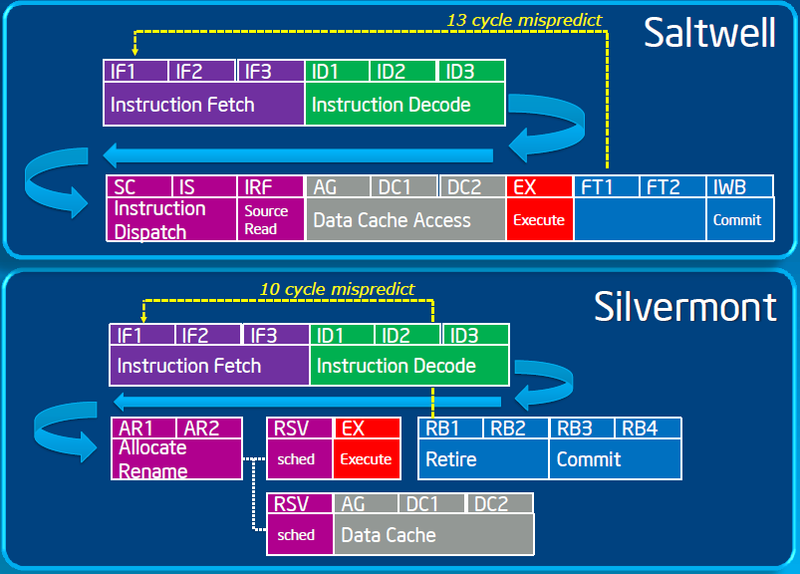 Intel kept Silverthorne's die size small by greatly simplifying its architecture." 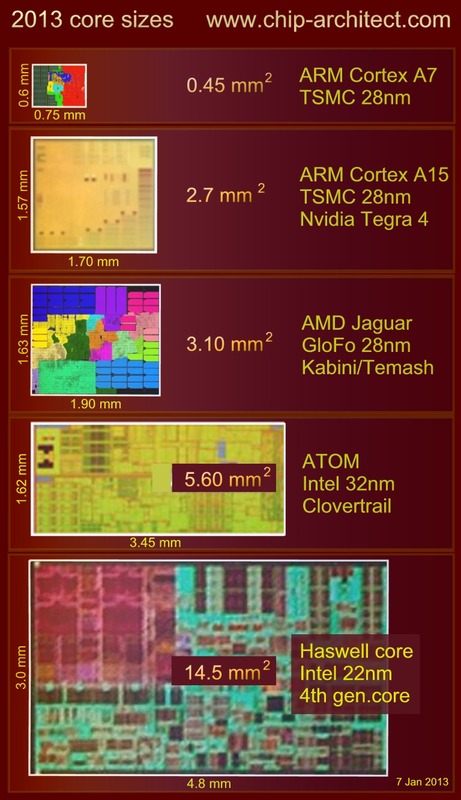 > > Did Anand really said that 47M transistors are "incredibly small"? > > It sounds so funny that it isn't even funny. > First paragraph in the link. Anand explicitly mentioned ARM in his first sentence. However it's still a ridiculous statement when you compare with Bobcat (and possibly VIA too). This is how small an Atom core is today. Remember die size translates to cost, so this is why Atom never came out in quad-core variants, not even the Centerton server parts (where quad-core would have made sense to try to compete with ARM).